These presentation slides 27255 are complete compatible with Google Slides. Simple download PPTX and open the template in Google Slides. 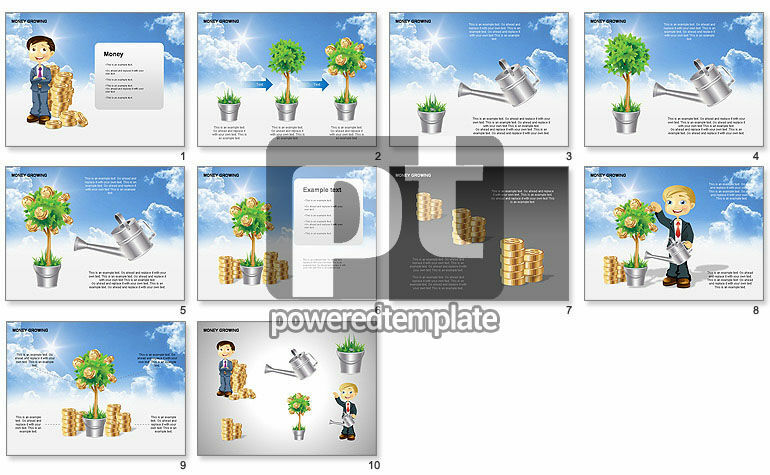 These charts will be a great choice for presentations on money, funds, earnings, wages, capital investment, placement of funds, stock exchange, banks, bank accounts, financial matters, business development and growing, etc.